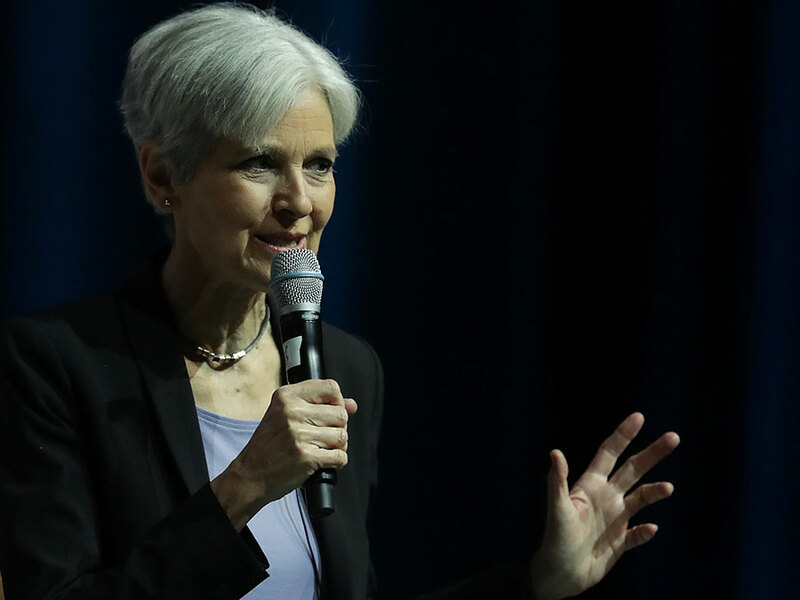 Miranda Green » Why is Jill Stein leading the recount effort? Why is Jill Stein leading the recount effort? WASHINGTON, D.C. – Anybody wishing for a recount in the presidential election found a champion for their cause last week, not in Hillary Clinton, but in Green Party candidate Jill Stein. Stein received only 1 percent of the national popular vote and came in last among the four major candidates running for president. She also came in last place in Wisconsin, Pennsylvania and Michigan, the three states where she’s leading recount efforts. Yet, it was Stein who announced a campaign last Wednesday to raise $7 million to pay for recounts in three swing states, and it was her team that officially filed on Monday for recounts in Wisconsin and Pennsylvania. The Clinton campaign has been a supportive yet low-profile partner. Other establishment Democrats, including the Obama administration, have been either silent or clearly unsupportive — possibly because supporting a recount could be seen as an admission that election fraud is a real concern. And, of course, Donald Trump himself was not enthusiastic, sending off a flurry of tweets Sunday proclaiming that the only fraudulent votes were those cast for Hillary Clinton, an accusation for which he offered no evidence. So why then, with such little political support behind her, is Stein the one leading the effort? This past weekend, Stein told NPR that her motive isn’t to benefit Clinton, but rather to provide all parties a chance for clarity. “It’s not just what was the vote count for Democrats and Republicans. It’s also a question of what was the vote count for Greens and for Libertarians. We want to know that the votes for Green candidates are getting counted accurately as are the votes for other candidates,” she said. Stein said she is questioning the legitimacy of the vote totals in those states overall — not only the votes cast for Trump. Stein’s website emphasizes this point. It states that the recount movement has to do with verifying voting systems that the Green Party views are highly questionable. The website specifically cites online voting machines used in the Michigan, which it states were banned in California because of the possibility of hacking. “After a divisive and painful presidential race, reported hacks into voter and party databases and individual email accounts are causing many Americans to wonder if our election results are reliable. These concerns need to be investigated before the 2016 presidential election is certified. We deserve elections we can trust,” Stein wrote. But Stein’s website also makes another point clear: Questioning the validity and security of the country’s current voting system is already an established policy of the Green Party. This is also not the first time that the Green Party has been behind a recount effort. In 2004, the Green Party also pushed a recount in Ohio, questioning the state’s decision to disqualify 1,100 ballots. John Kerry had immediately conceded a loss there, but a Green Party-prompted recount found that Bush should be awarded 300 fewer votes. Bush still won the state, and the election.